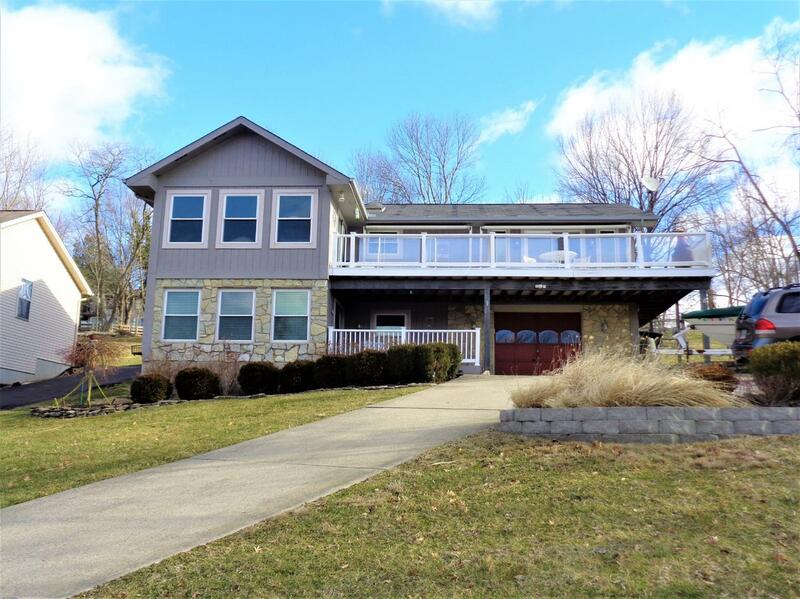 Panoramic view of Hidden Valley Lake from this well-cared-for raised ranch! Enter into a large family room, great for entertaining. Upstairs has an open living room/dining room area. Master bedroom has lots of bright windows with great views of the lake! Beautiful master bath has been completely remodeled! Nothing to do but move in!